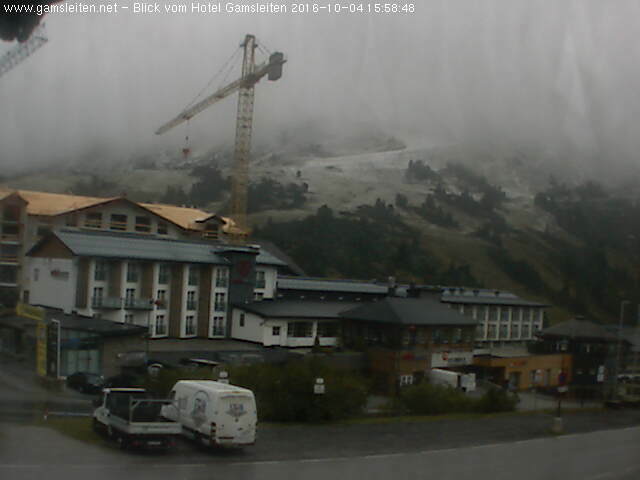 Some snow settling in Obertauren. 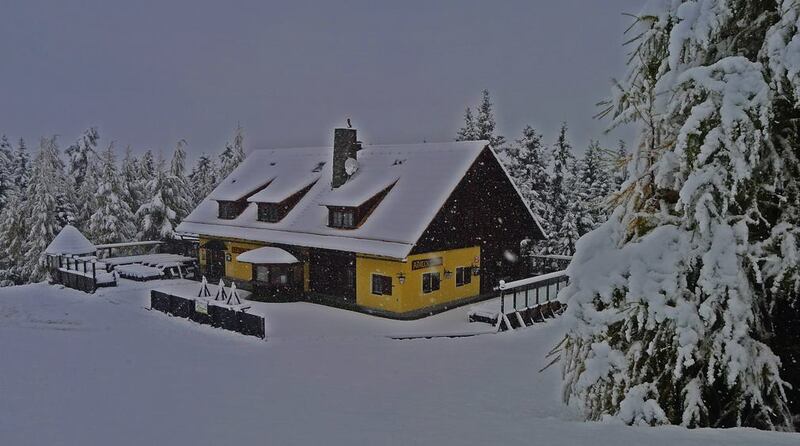 This is Edelweiss Pub, one of my favourite stops at 2000m absl. 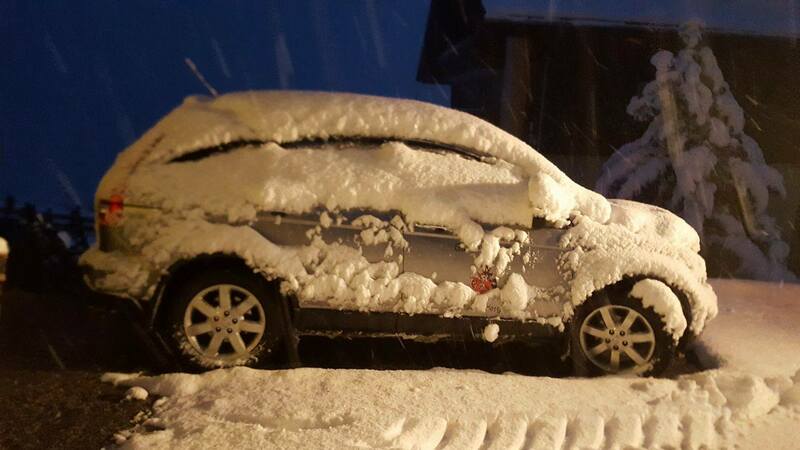 So that's where all the ski racks hide up for the summer! Hope they enjoyed their holiday - they'll soon be back at work! 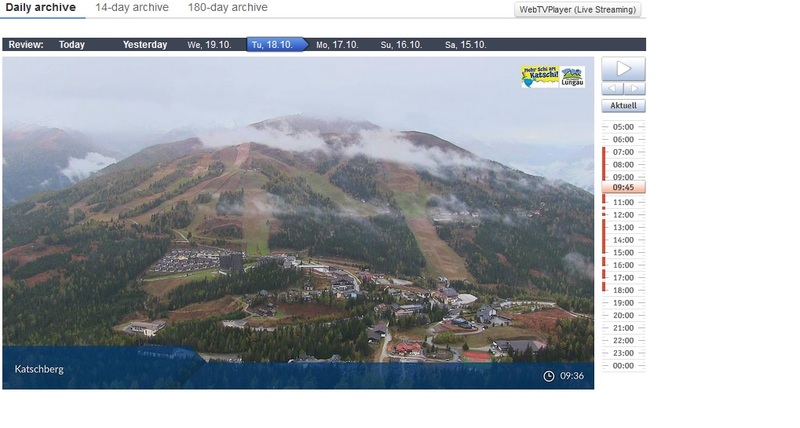 Quite a dramatic live shot of snow falling at 2000m and rainfall at 1850m. Just shows how marginal rain to snow events can be with height difference. 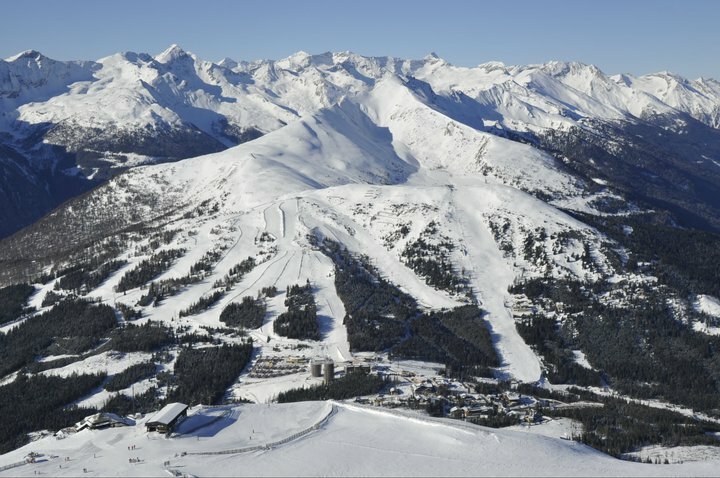 I have also been watching the Les Arcs Vagere web cam, where full preparations for the season seem to be underway by means of the ground being laid with, well whatever it is those tractors and diggers lay down! A while before snow arrives there I imagine. Great Reefseeker, just having our first snow shower of the season. 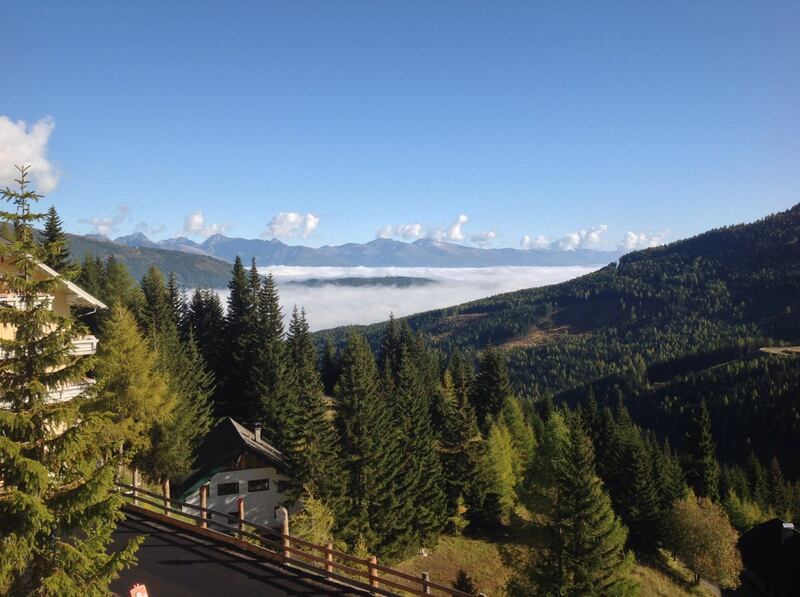 Temperature in the village is -3c presently and -5c at 2000m level. Fresh NEly . You can see the snow falling out of the shower clouds. Many of the peaks around here have a fresh covering of snowfall. Chopping plenty of wood for the season ! 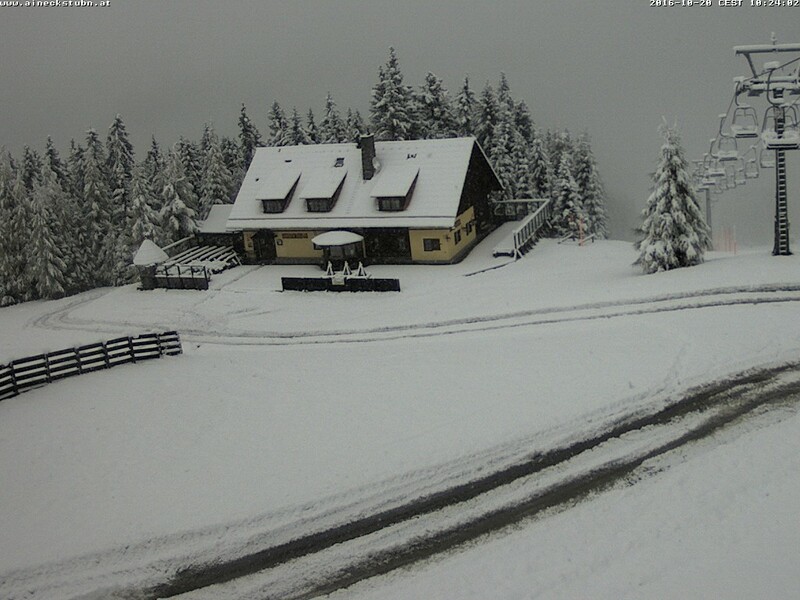 Looking at the reports further NE of here plenty of snow in the mountains of Poland and Slovakia. I love it when you can smell snow and cold in the air. May be get some pictures in the morning of a snow cover here. Nice to see the 528 dam thickness right over me for the middle of next week. I can see plenty of snow on the tops around here but excited again at touching the real stuff again.. Must be mad at my age, Worse than when I was kid, I just stand for hours looking at the sky , my wife and neighbours think I am strange ! Nice to see the 528 dam thickness right over me for the middle of next week. I can see plenty of snow on the tops around here but excited again at touching the real stiff again.. Must be mad at my age, Worse than when I was kid, I just stand for hours looking at the sky , my wife and neighbours think I am strange ! We don't need to know about your private life. Lovely Sunday morning. 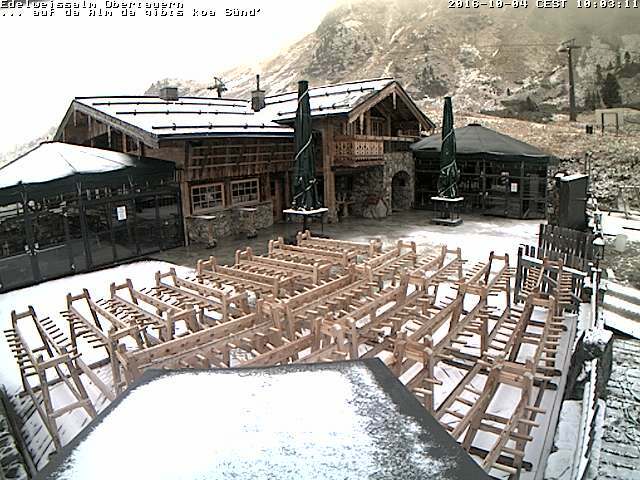 Snow shower last night settled at 1800m level on the local mountains. Feels crisp and wintery. Morgan, nice sunny Sunday morning on the Katschberg. Temp around 9c. Wonderful photo! Love the fog in the valley and the interesting looking cumulus bubbling up over the peaks in the distance. And you think you're strange Carinthian? 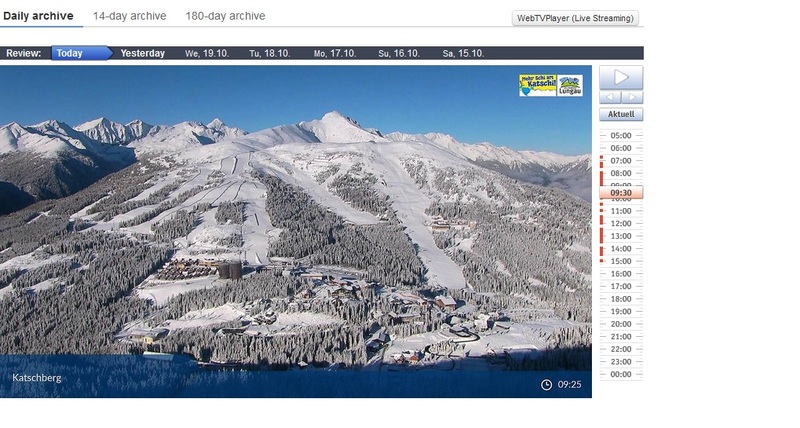 I spend all my spare minutes at work looking at webcams of anywhere there might be mountains and snow! 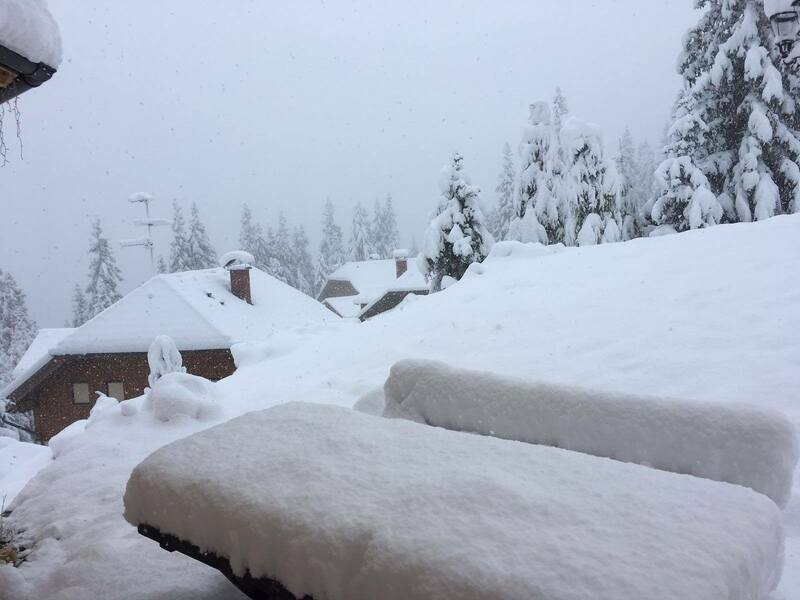 Predicted snowfall of 21cm of fresh snowfall duly arrived last night. A few more shots from the area. First one is The Aineck Stubn at about 1500m. Second one is of a local hotel in the village still with its summer garden furniture still out ! Still its snows. A view from the balcony. 35cm now . The snow stopped at 4pm yesterday. A clear night with temp down to -3c. Panoramic view of the village and surrounding mountain this morning. The mountain range in the far background includes Gross Glockner, the highest mountain in Austria. Hi Reefseeker, the feratel web cams are just amazing. 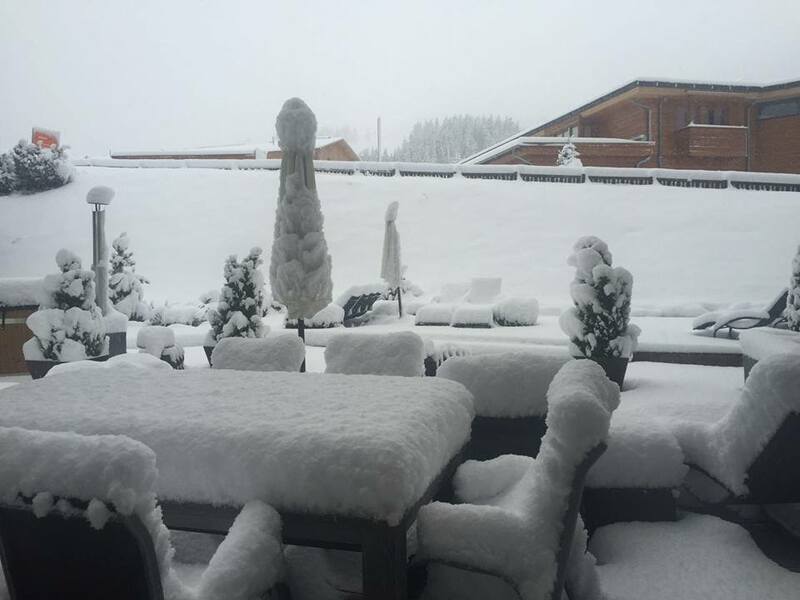 Also, check out a neighbour resort of Obertauren, usually one of the snowiest in Austria. Good viewing. @carinthian You have sold it to me. Looking to bring my 2 kids during Feb half term. What's it like during Feb. Wanted to bring them for the Easter break. But can't get the time off work. The Aineck Stubn in the snow yesterday. One of my favourite Ski Fodder stops Do really tasty Beef Goulash Suppe. There's something special about being in the mountains when the first really good fall of snow transforms the scene into a magical winter wonderland. And the fantastic images from @carinthian this last couple of days have really been a joy to look at. I've said it once and I'll say it again - you're a lucky bloke being over there Paul!! Morning all. OK our recent snowfall getting slushy and melting away as warmer air mass takes over for the next 24 hours. 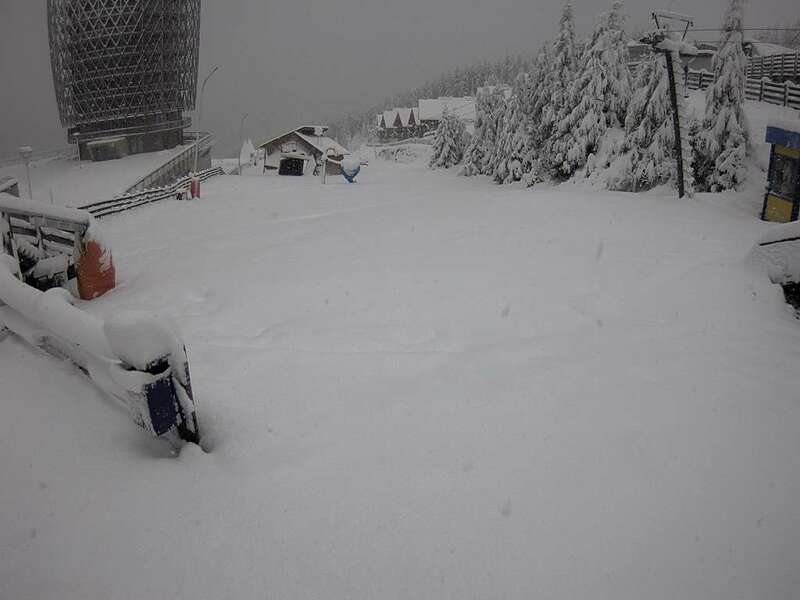 Don't think there will be much left below 1500 m by the end of the day. Have attached a picture from last winter that views the village and its runs at its winter best. Hopefully, we can soon see scenes like this again. Hello Reefseeker, yes we have a light covering here from the front that clipped us last night. 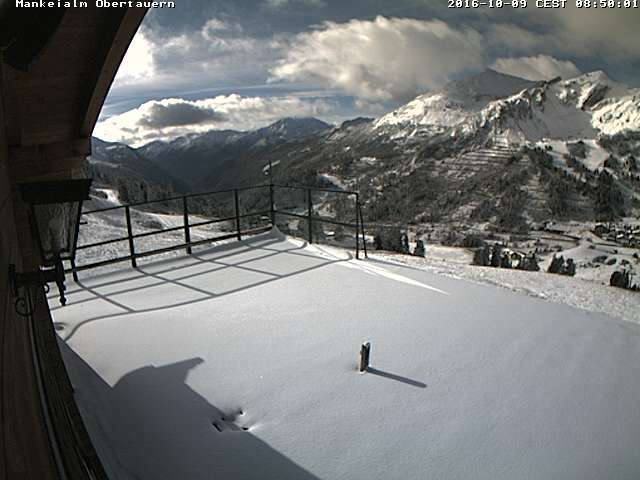 Can see the snow showers to the North of us affecting the Obertauren Range but not depositing much. But turned much colder today and forecast for some snowfalls generally on Sunday. 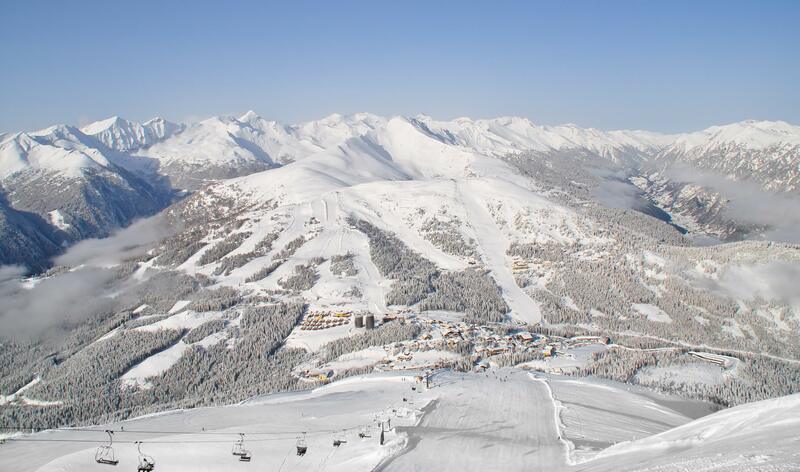 Hopefully enough for us to start work on the piste foundations as cold temperatures are expected.